HÀ NỘI — Sustainable agricultural development is the key to the global sustainable development, and breeding plays an important role in Việt Nam’s development and growth, said Deputy Minister of Agriculture and Rural Development Lê Quốc Doanh. Speaking at the conference “The Role of Livestock in the 2030 Agenda for Sustainable Development in Southeast Asia” held on Thursday in Hà Nội by the International Livestock Research Institute (ILRI), Doanh confirmed the breeding sector’s contribution to Việt Nam’s agricultural development. Việt Nam is speeding up a project to re-structure the agricultural sector, he said. Under the project, the breeding sector’s development schedule was defined, with ensuring environmental protection and food safety and hygiene priorities. In 2011-16, the agricultural sector’s growth reached 4.5-5 per cent per year, with breeding making up 30-32 per cent of the sector’s total growth. Việt Nam has been successful in achieving the UN’s millennium development goals (MDGs), said Deputy Minister Doanh. As a whole, he said, the breeding sector’s contribution to Southeast Asia’s economy and agriculture in particular was very important as it had helped reduce poverty and increase incomes. “The conference helps creating opportunities for the breeding sector to contribute to developing programmes in the area,” said Doanh. It also helped the Southeast Asian countries’ governments and concerned organisations focus on the biggest problems in the breeding sector’s development, and then discover new coooperation chances to resolve common challenges, he said. 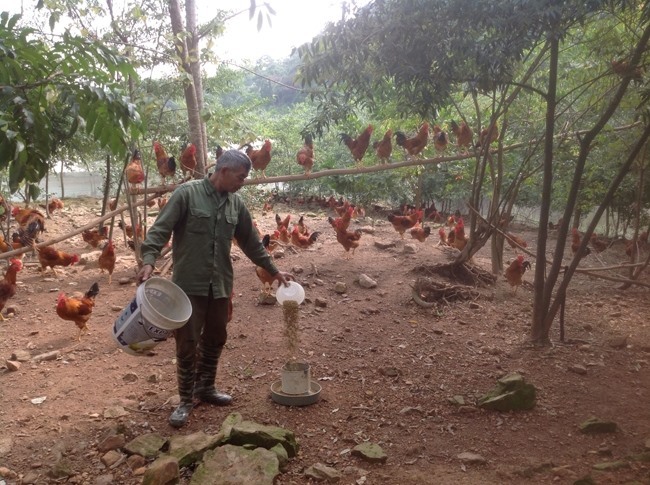 Nguyễn Thanh Sơn, director of the Livestock Institute, said that in the future, concerned organisations should be aware of husbandry’s importance to the MDGs, and therefore encourage investment and work to optimise the breeding sector’s contribution in reaching the MDGs.